A company must register for VAT if it makes ‘Vatable’ supplies and has turnover of over £85,000 over a 12 month period or you expect to in the next 30 days. Once registered, a company has to submit quarterly online VAT returns. 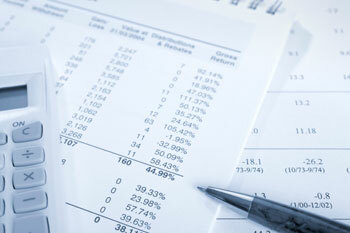 OJ Williams Accounting Limited can help you calculate and submit your VAT returns. We will ensure you reclaim all the VAT you are entitled to but also ensure that you don’t claim for items you are not entitled to, such as VAT on staff or client entertaining as this can lead to fines. If your company makes ‘Vatable’ supplies but has an annual turnover below this level it can still register. There are pros and cons of doing this, for example, you can claim VAT back on purchases (subject to HMRC rules) but you have to charge VAT on your Vatable goods and services which may make the price less attractive to potential customers. We can help you decide if you need to or should register your company and once registered we can calculate and submit your VAT returns accurately and timely so that you are never late. Periodically HMRC may want to undertake a VAT inspection. We can get you through these inspections quickly. 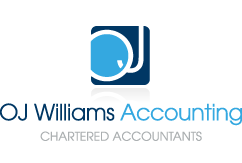 OJ Williams Accounting Limited will help you with your first return to ensure you do not miss out on any potential refunds as these can potentially be quite large. Our blog post on VAT contains more information on this. Flat rate VAT is a scheme designed to help simplify VAT returns rather than save money. The flat rate VAT scheme lets a business reduce the amount of VAT it pays on its sales but also means it can’t reclaim any VAT on its costs. More information and an example calculation can be found on our Flat Rate VAT blog post. OJ Williams Accounting can talk you through which VAT scheme will be most beneficial for your business.